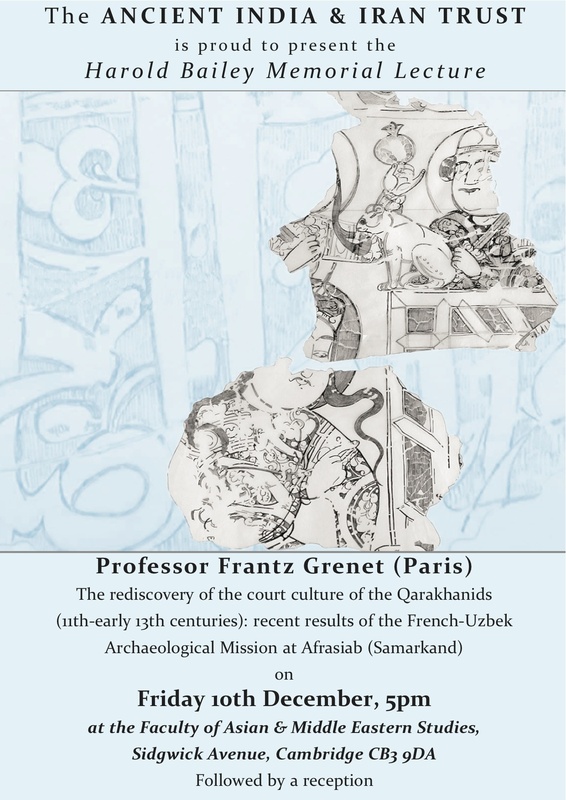 The Trust is hosting this coming Friday’s lecture (10th December), by Professor Frantz Grenet (Paris – excavator of Afrasiab) at the Faculty of Asian and Middle Eastern Studies. The event starts at 5pm. There will be a reception to follow. The Qarakhanids, the first Muslim Turkish dynasty, who ruled Transoxiana or part of it from 999 to 1212 AD, have not, until now, enjoyed a great reputation as patrons of the arts. This picture is now changing dramatically, mainly because of the recent discovery by the French-Uzbek Archaeological Mission at Samarkand of a cycle of mural paintings in a royal pavilion dating from the end of that period.